Two couples discover the grass may not always be greener on the other side in Woody Allens breezy comedy on wry, You Will Meet A Tall Dark Stranger. Hoping to relive the pleasures of youth, Alfie Shepridge (Anthony Hopkins) dumps his wife of 40 years (Gemma Jones) and pursues a young call girl (Lucy Punch). 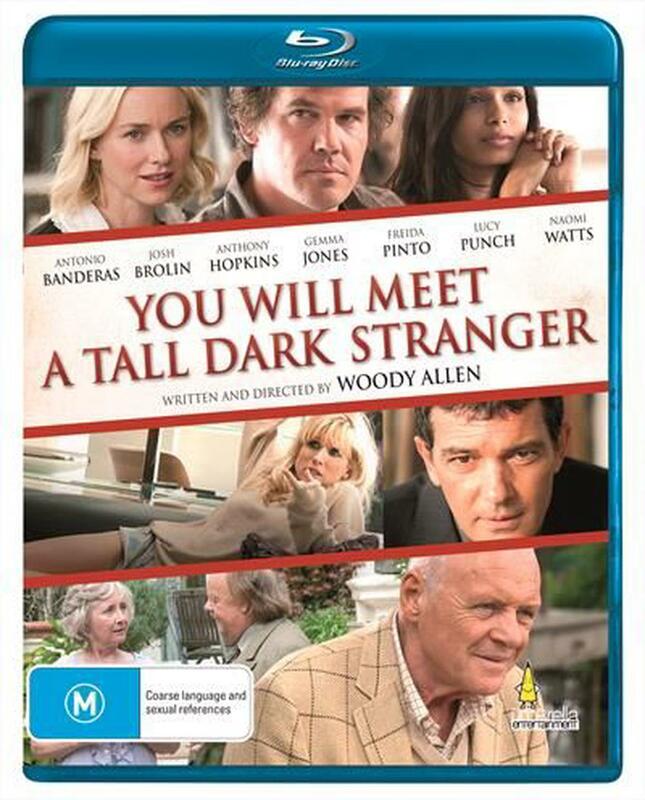 So when daughter Sally (Naomi Watts) develops a crush on her boss (Antonio Banderas) and husband Roy (Josh Brolin) becomes obsessed with the beauty (Freida Pinto) who lives across the way, the entire clans fantasies take on reality as their passions not only drive them out of their marriages, but out of their minds as well.